If your home is heated with electricity and runs on a time-of-use tariff like Economy 7 or Economy 10, a storage heater can help you benefit from lower off-peak electricity rates. Are you worried that you may be paying too much for heating? Talking to a certified electrician can help you find out for sure and adopt a more energy-efficient solution. At Electrics on Tap, we are a certified group of electricians operating in Brighton and Hove, also covering the wider Sussex area. Since our inception over a decade ago, we have helped deliver smart electrical services for owners of commercial and residential properties. Storage heaters are essential components in homes that use electric heating. To maximise your installation, we advise checking it regularly. Please see our recommendations below. If you are unfamiliar with storage heaters, then take some time to read on. Storage heaters are electric heating devices that store thermal energy by heating up internal ceramic bricks at night, before using the stored heat to keep your home warm during the day. Naturally, storage heaters are ideal for people who use time-of-use electricity tariffs like Economy 10 and pay a cheaper energy rate at night (mainly between 12 to 10am). A storage heater allows customers on this plan to leverage cheaper off-peak electricity to heat their property during the day. In the same way your steamer uses an element to heat water, your heater uses electricity to heat elements. After a few hours, the elements slowly transfer the heat to an extremely high-density material that draws and stores it to then be used the following day. Off-peak heaters retain as much of this heat for as long as they can by using insulation material. Because electricity costs more than gas, storage heaters are the cost-efficient solution if you don’t use gas at all. What type of storage heaters are common in Brighton and Hove? Off-peak heaters like Quantum are electric heating devices built to function with cheaper, off-peak electricity and store heat until it is needed. This model requires you to manually set the quantity of energy you want to store overnight. However, this model is currently being replaced by modern versions with better controls. The CXLS is a combination model. Like the automatic, it stores off-peak energy overnight, based on the room temperature. In addition, it can top-up this energy in during the day, using the peak rate energy where necessary. An example of this model is the XLSN. It automatically adapts the overnight charge to the room temperature and provides a more energy-efficient option than the manual model. Quantum is a high-heat retention model and has smart controls that use exactly the right amount of charge. With a highly insulated core, these models extract the heat when it is needed and use a direct acting element to give off more heat during the day, if desired. Now you know how storage heaters work, do you think you have been spending too much on electricity? It might prove a smart option to install one in your home. However, we advise that you to speak with a professional before you do so. At Electrics on Tap, our electricians are licensed professionals and can help you decide which storage heater is best for your property. How much does a good model cost? Without proper guidance, you could end up buying an unsuitable one at a higher price. Storage heaters vary largely in price, depending on the model you choose, as well as the brand. Cheaper, more standard models may cost as little as £150, but more sophisticated models can set you back £200 plus. At Electrics on Tap, we perform speedy installations that don’t disrupt your regular activities. 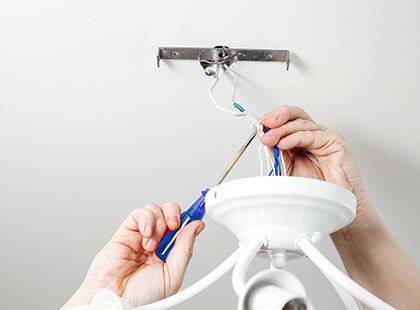 Our electricians are trained to work with minimum intrusion and always clean up diligently after every installation. Over time, like every other machine, your storage heater will require a check-up. Some component parts may need to be replaced or if there is damage, a repair is necessary. Every electrical appliance requires an annual PAT (Portable Appliance Testing). This is a ‘health’ analysis to determine how suitable the appliance is for continued use. Some storage heaters may be leaking current and will need to be corrected immediately. Failure to conduct regular tests and fix damaged appliances can cause electrical accidents. 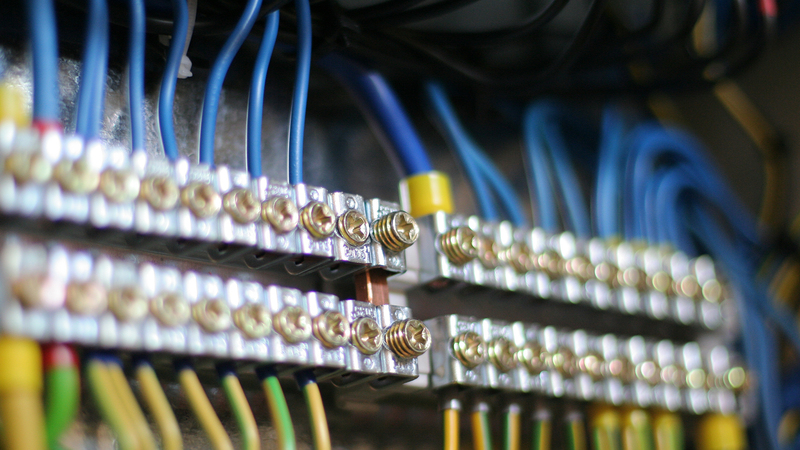 If you run a commercial property, PAT testing is mandatory. It’s always a good idea to discuss with a qualified professional before purchasing a major electrical device, such as a storage heater. Some older models – specifically those produced prior to 1974 – were fitted with asbestos to reduce vulnerability to fire. Unfortunately, as asbestos disintegrate, they release dust and fibres which are not only dangerous to the lungs, but carcinogenic also. If you have an old storage heater and are concerned, please contact one of our electricians directly. Electrics on Tap have been a leading provider of reliable electrical services in the UK since 2006. 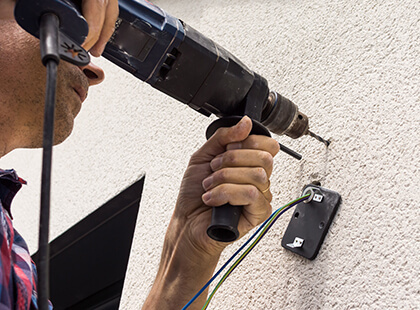 Our company is accredited by NICEIC (National Inspection Council for Electrical Installation and Contracting) and our electricians are not only experienced, but gas-safe certified to operate any electrical appliance. When you hire us, you’ll be well-treated by friendly personnel. Our company has built a reputation for maintaining quality British standards. Want to buy a new storage heater? We deliver straight from the manufacturer, and every model comes with a lasting warranty.